18 Years of Farm Fun in 2019! We are so excited to celebrate our 18th season with you this fall! 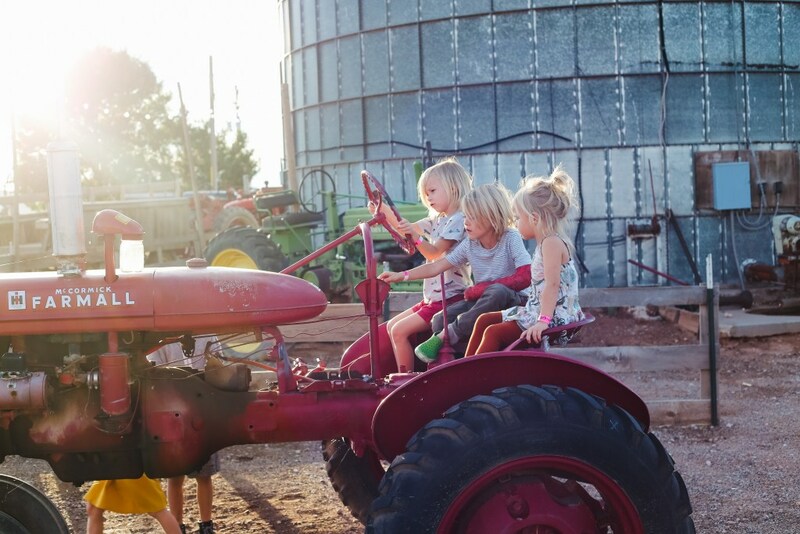 Our repeat visitors already know that the agricultural wonder we share with the community grows adventure on every acre. Newcomers will soon find a new treasure-trove of memories and traditions that will last long into the future! The Corn Maize and Farmland Attractions open near the end of September every year, and remain open until the end of October (Closed Sundays/closed Halloween). 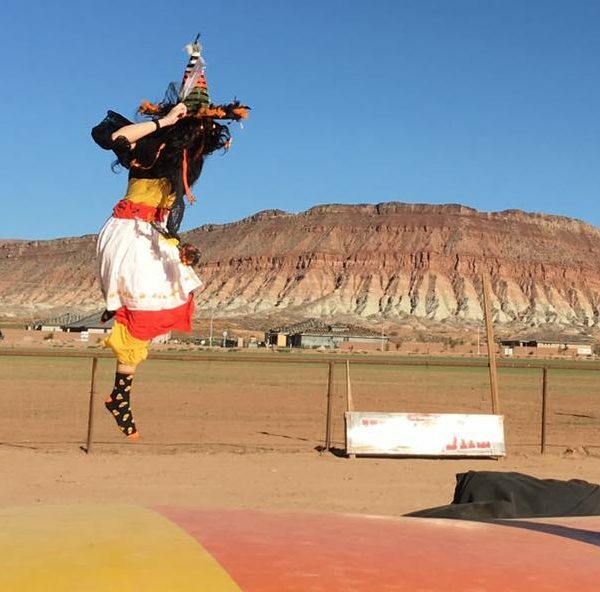 Other attractions have opening dates near the start of the season. Tokened attractions open at 5 pm daily, 1 pm on Saturdays. 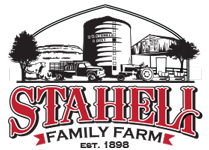 Whatever you do this fall, make sure Staheli Family Farm is on your family’s calendar for Fall fun! 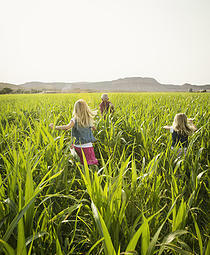 All ages will enjoy wandering in our Corn Maize! Take a map (or don’t!) and find your way out. Make a game with your group, form teams for a race, or just enjoy getting lost… Any way you go through our maze you’re sure to come out with a smile! Our most popular attraction. Make your way through our Field of Screams! With jumps at every turn, you never know who you might run into… or who might run into you! Our Field of Screams is completely separate from our regular corn maze. For more information on our Field of Screams, click HERE! BACK for 2019! 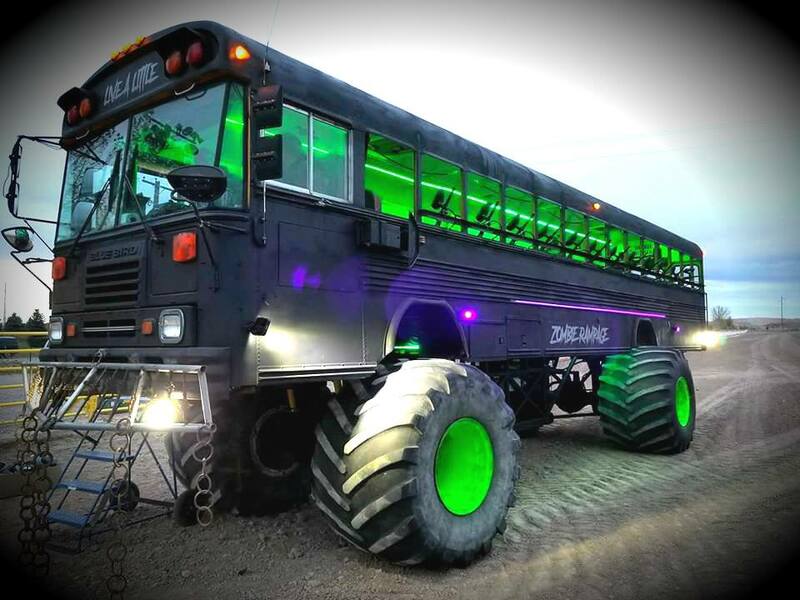 The incredible new ZOMBIE RAMPAGE has come to Southern Utah to take care of a little zombie problem in our corn field. 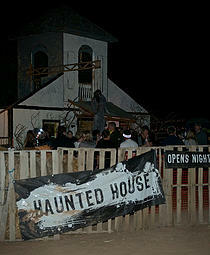 This attraction is completely separate from our Corn Maize and our Field of Screams attractions. For information, click HERE. The Pumpkin Patch is re-stocked weekly. 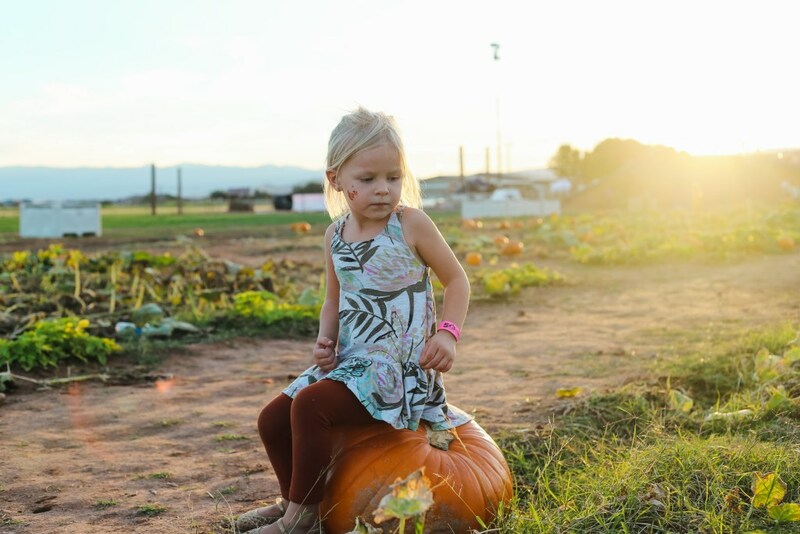 Pick your own pumpkin and take a classic fall photo! Our pumpkins are fresh and plump. You can purchase the tiny ones for pies, and weigh the large ones for jack-o-lanterns. 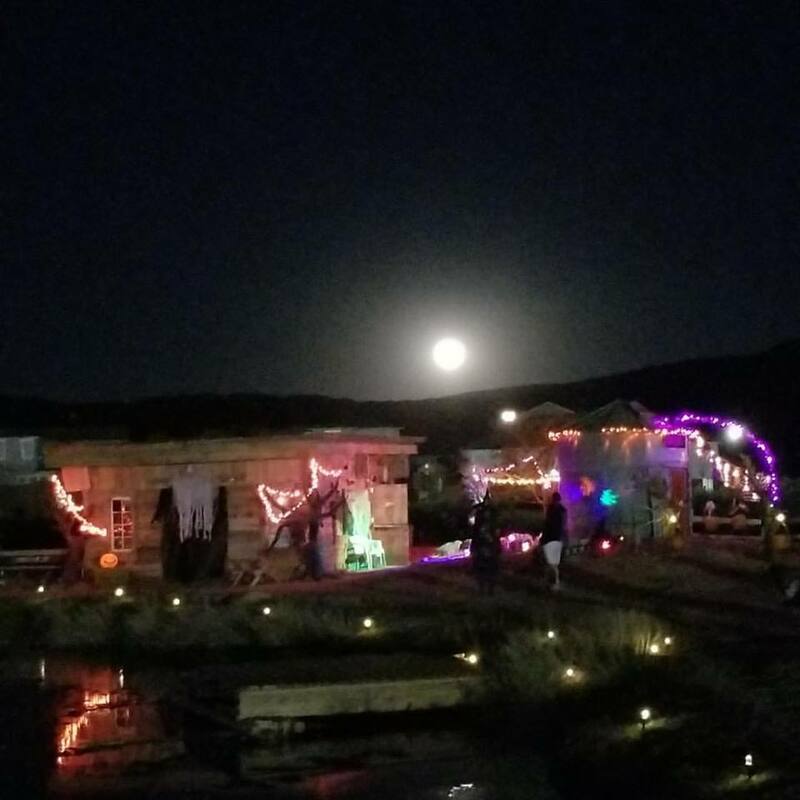 ONLY THOSE WHO PURCHASE A WRISTBAND will be allowed in the Pumpkin Patch, as it is unique and maintained as one of the attractions here at the Farm. 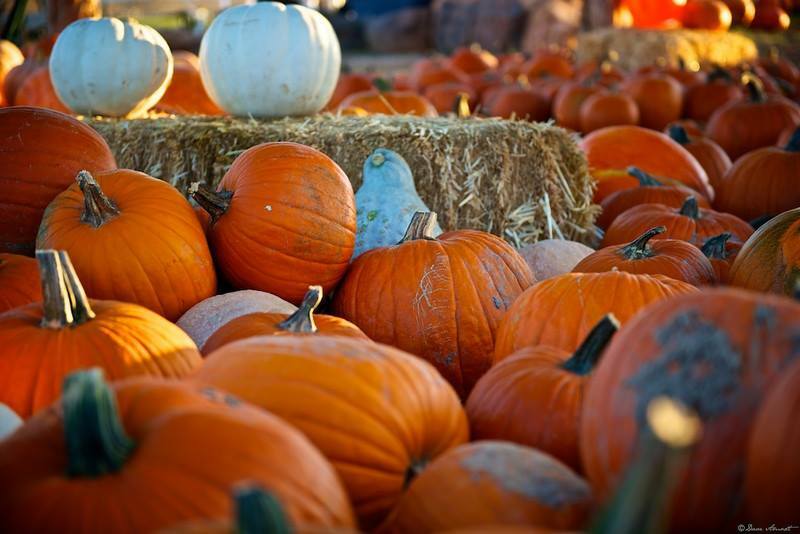 If all you want is a pumpkin or a photo, the lowest ticket price is the Corn Maize Admission. More about the Pumpkin Patch, HERE. Our patch hours are Monday-Thursday 5:00pm-9:00pm and Fridays & Saturdays Noon-9:00pm. 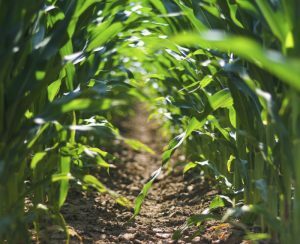 Included with Corn Maize admission, this is the place to either relax and unwind, or to get active and have some good clean fun in the dirt! Includes over 30 FREE ATTRACTIONS and several special tokened attractions and private vendors. 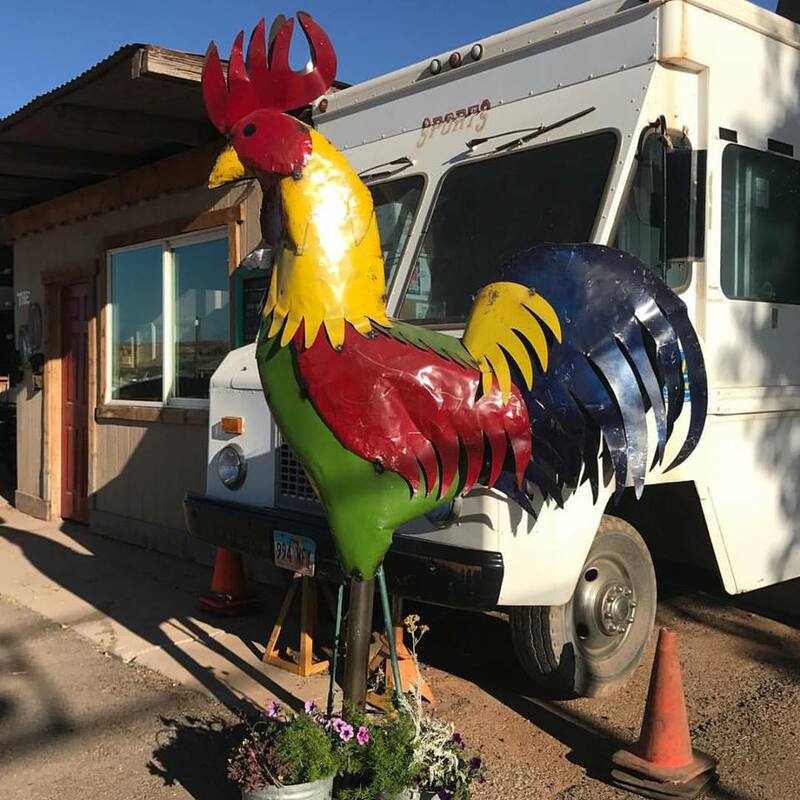 For a complete list of Farmland attractions and a sampling of visitors’ photos, click HERE. Our Farmland is open during regular fall hours. Some Farmland attractions close at 10 pm on weekends. Tokened attractions do not open until 5 pm daily, 1 pm on Saturdays. Our concession booths are filled with yummy food, soft drinks, and treats! Sit down for dinner and enjoy our famous Corn Dogs, Nachos, Corn Bread n’ Soup, BBQ Sandwiches, and much more! We also can help with your sweet tooth…. Enjoy our secret family-made Caramel Pumpkin Pie, a delicious scone, or pick from a variety of fall treats and candy! If it seems crowded, there is plenty of overflow seating in the main pavilion. To view our menu, click HERE. 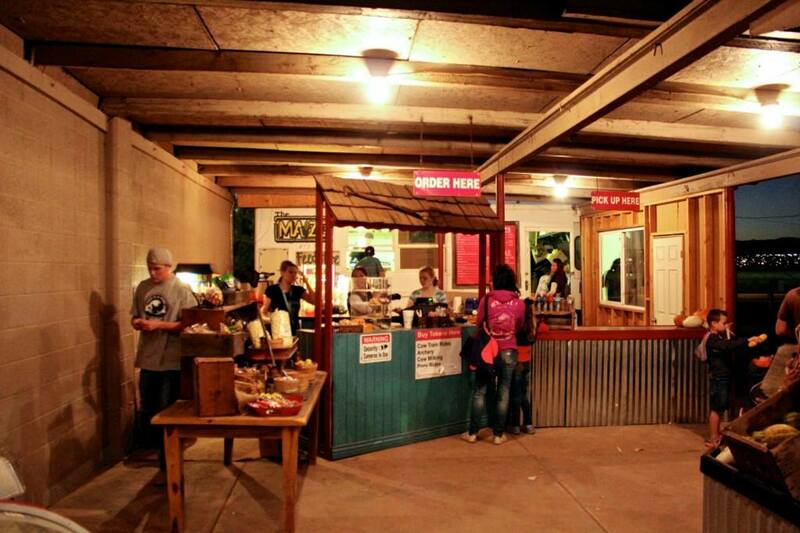 Our food concessions are open during regular fall hours. 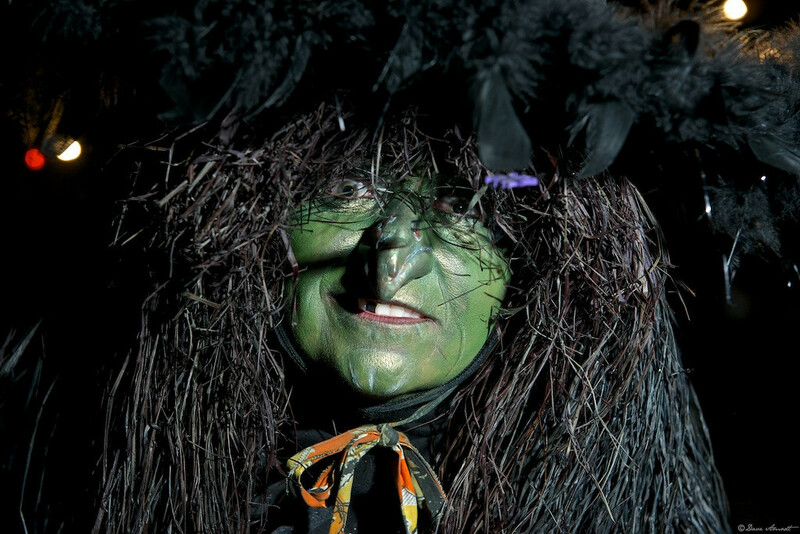 If you’ve been to the farm, you have probably met our very own farm witch… Wick’a Dee! Her cackle can be heard for miles! She’s here to entertain the children with jokes, magic, and dancing! To find out when her broom will land at the Farmland and Spooky Trick-or-Treat Trail, visit Wick’a Dee’s page, HERE. 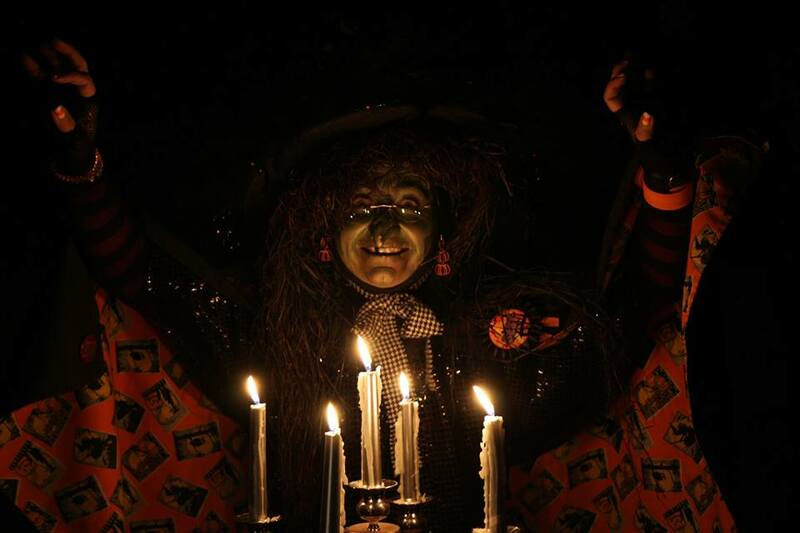 Wick’a Dee has some other witchy friends that mingle with guests at the Farm, namely Candice Cornelia, Daughty the face-painting witch, Thistlina Bombina, Crypt Tessa, and Autumn Crisp. Learn more about our witches, HERE. Have you taken a ride in our Cow Train? 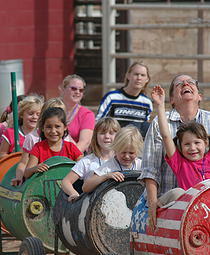 Those of any age will love zippin’ through our pastures in the barrels of fun! (1 token required, with paid admission) Tokened attractions do not open until 5 pm daily, 1 pm on Saturdays. The Cow Train closes and the token rate changes to 3 tokens/Round Trip w/paid admission at DUSK on M, F, S to accommodate the Spooky Trick-or-Treat Trail riders (All times subject to change). WOW! Kids get their own haunted house (Spooky, but not too scary). Kids ride the Cow Train to the Spooky Trick-or-Treat Trail (3 Tokens per child/Round Trip w/paid admission/including 2 and under). After the haunted house, visit Wick’a Dee, Thistlina Bombina, and Candy Corn in the Witch Hut for some wacky trick-or-treating the witchy way! THIS ATTRACTION OPENS OCTOBER 7, 2019. For more information, click HERE. DUSK – 9:00 pm, Monday, Friday, Saturday only. Watch for more days near the end of October. All times subject to change with the weather and other conditions. 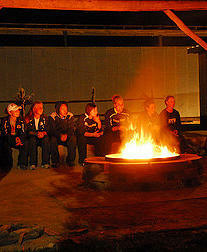 Did you know you can rent one of our campfires for your family or group? We even include S’mores for an additional cost. Click HERE to reserve your time slot. No refunds for no-shows. 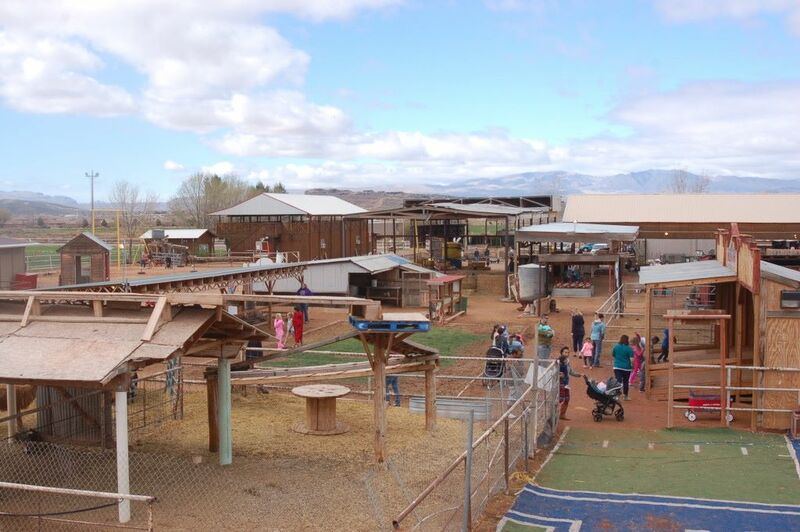 Voted #1 attraction by families, our petting zoo has been upgraded recently. We sure love our animals! Our pen has goats, sheep, pigs, and many others. 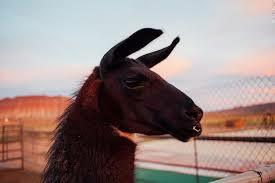 Look around and visit our llamas, turkeys, hens, donkeys, horses, cows, bunnies, and more! We have convenient hand-washing stations and hand sanitizer, as well. Purchase feed for all the animals. Open during regular Farm hours.